This week the Governor of Georgia signed a NRA and ASA backed House Bill into law. It is one of the most comprehensive gun bills to pass in the state of Georgia. Included in the bill is a provision to legalize the use of a suppressor while hunting. The law will go into effect on July 1, 2014. Once the law goes into effect, Georgia will become the 32nd state in which civilians can use suppressors while hunting. 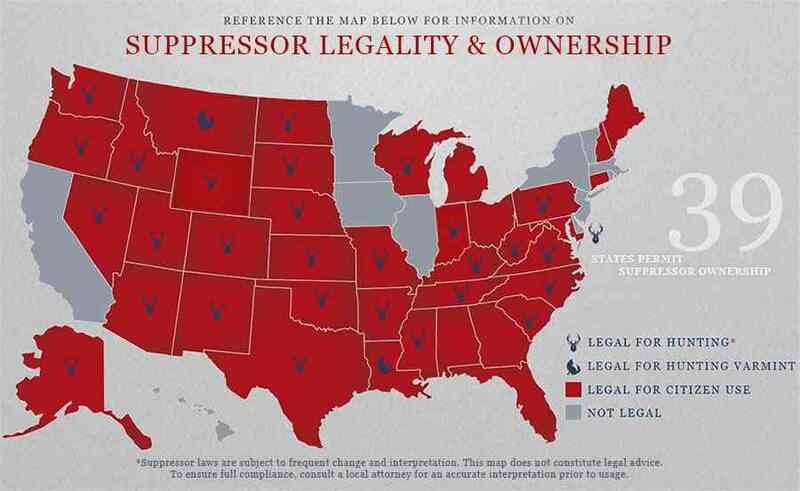 Of those states, only Louisiana and Montana does not allow the use of suppressors while hunting game animals. On Jan 31st the Georgia Senate passed a bill to authorize the use of silencers on hunting firearms under certain circumstances and repeal conflicting laws. On Feb 1st 2012 the bill was sent to the house. Here is a link to see the current status and the bill. Around 6-8 months ago I was approached about a new Gun Range in the Atlanta Georgia area (on Roswell Rd in Sandy Springs), it was suppose to be high tech, have movable targets and also include a gun store. I decided to invest in it, while I have no active role in the day to day management, I felt that under the new FCC disclosure requirements, and even without them, it was proper for me to disclose my ownership interest in the operations. I have not seen the completed indoor range yet, but have seen it during the construction. I recently saw a thread on silencertalk discussing the range and wanted to share it with everyone. I must say that I was shocked by the pictures and its looks nicer than I was expecting. I am looking forward to visiting the range next weekend when I drive through Atlanta. 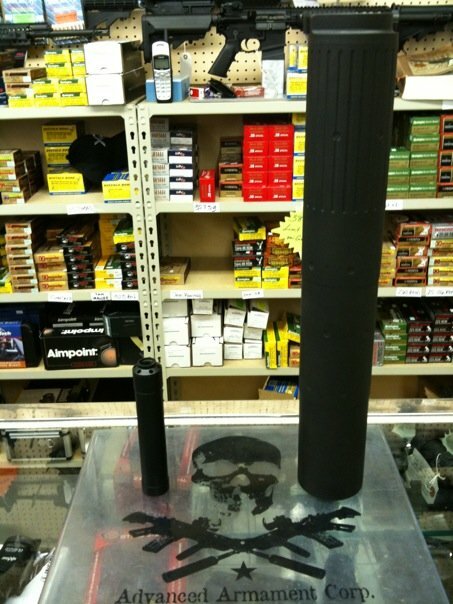 Take a look for yourself at the pictures of the Sandy Springs Gun Club and let me know what you think about the range pictures on Silencer Talk. July 1, 2008: Georgia’s new right to Carry Law goes into effect and there already seems confusion over the law. The Mayor of Atlanta has declared the airport a gun free zone which appears to be in violation of the new law. Although Federal law covers the airport security check points and beyond, the local laws control in the baggage and check in areas. Georgia’s new law specifically allows for the ability to carry firearms in any area of public transportation which would include the airport. allow concealed carry permit holders to carry in restaurants. Georgia (GA) What NFA Firearms can I own?